The Novero Solana has recently passed through the FCC and it also seems like they are planning to sell the device for about $799 in the US. As it passes through the FCC it might on its way to the stores already. 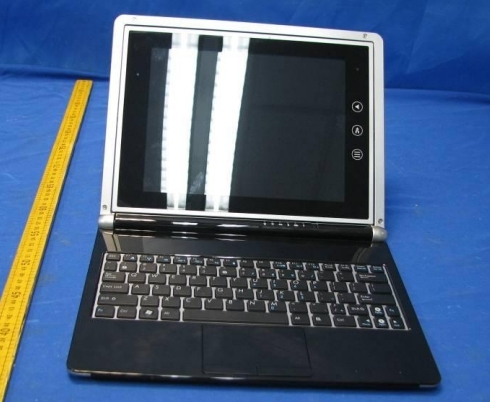 The device's screen is capable of rotating a 180 degree to convert itself from a Netbook to a tablet. 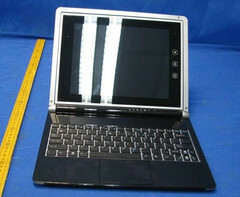 However in your first look you will have the impression that the Netbook’s screen is slightly larger around the display. But when it converts it to a tablet mode we can see that the screen rests inside the bezel. The device is powered by an Intel Atom N2600 Cedar Trail processor and has a 9.7 inch display which is capable of supporting up to 1024 x 768 pixels of resolution. The device will be capable or running on both Android as well as Windows platform. The device might have SSD’s of a varying range from 16GB to 32GB. And it will also sport a 3 megapixel camera. It seems like it also has some unique options to switch between the Windows OS and Android OS. Along with that it will also be equipped with all the regular ports as the HDMI port, USB 2.0 port, Micro SD Card slot and also SIM Card port. The battery equipped with the model is of 32WHr. The whole device will weigh 2.6 pounds and will be haven dimensions measuring 10.6” x 8.9” x 0.8”.